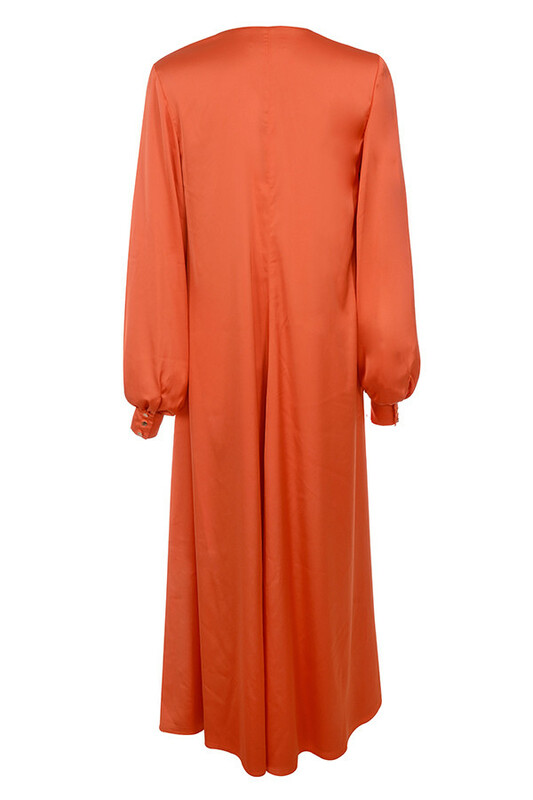 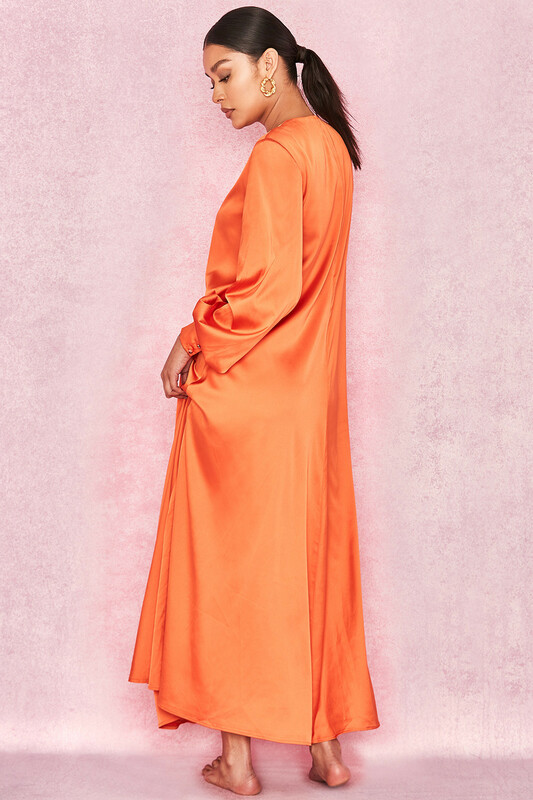 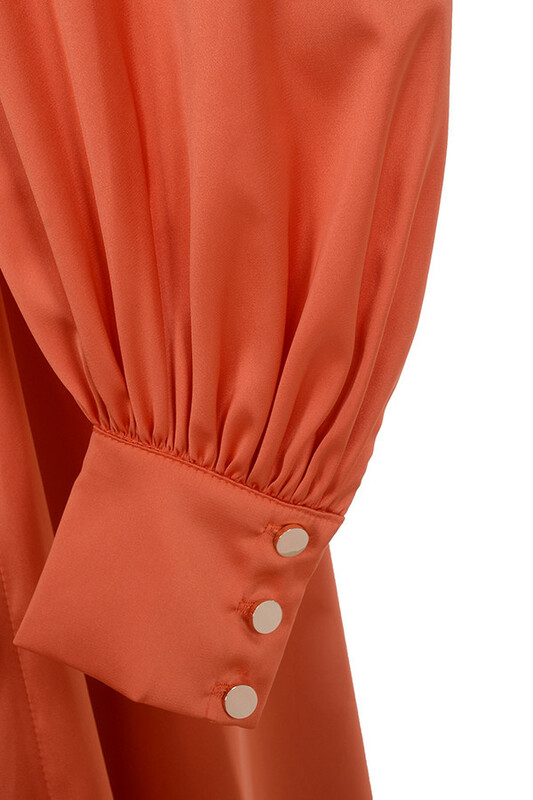 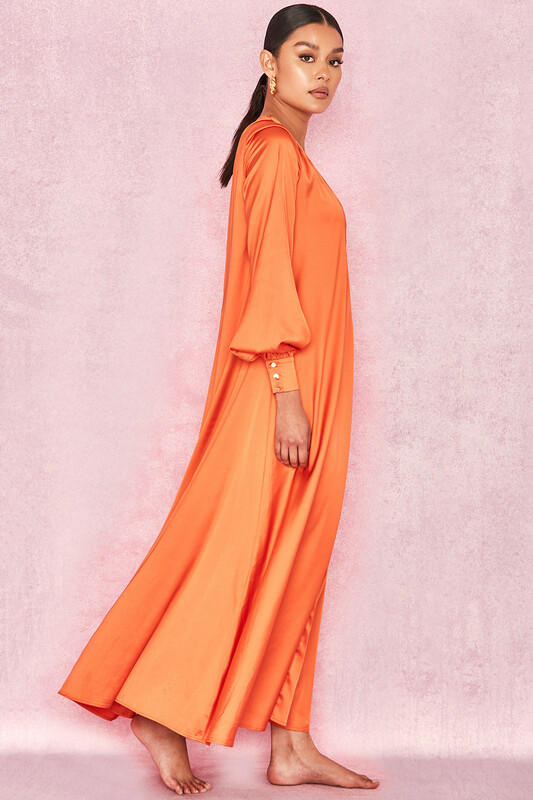 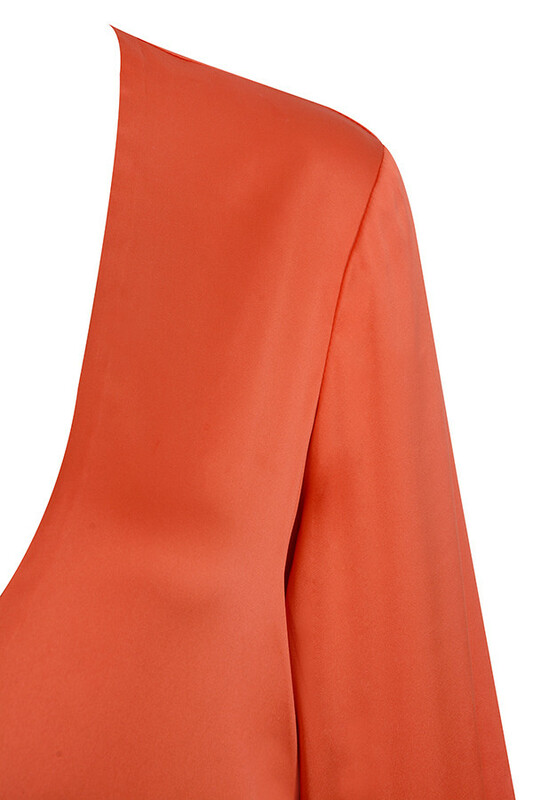 This dramatic tropical beauty is crafted from a soft and lustrous satin in amazing hot orange hues. 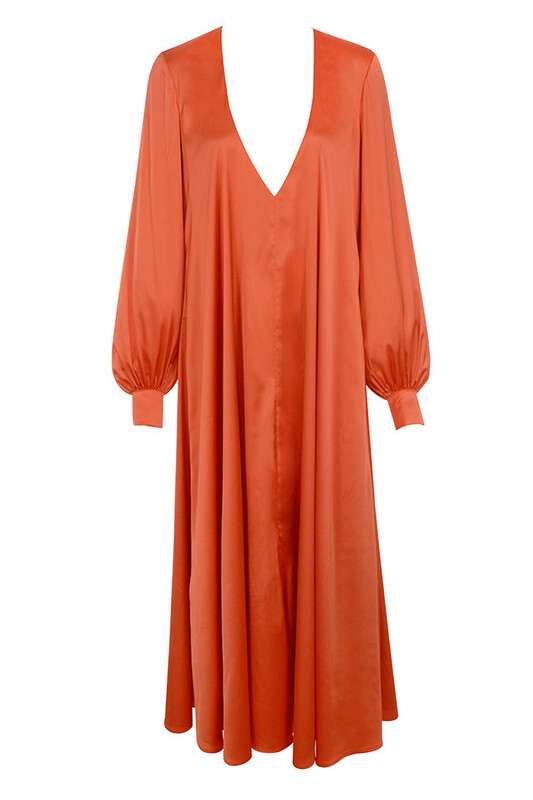 The plunge front is super flattering and the long bishop sleeves have deep dramatic cuffs. 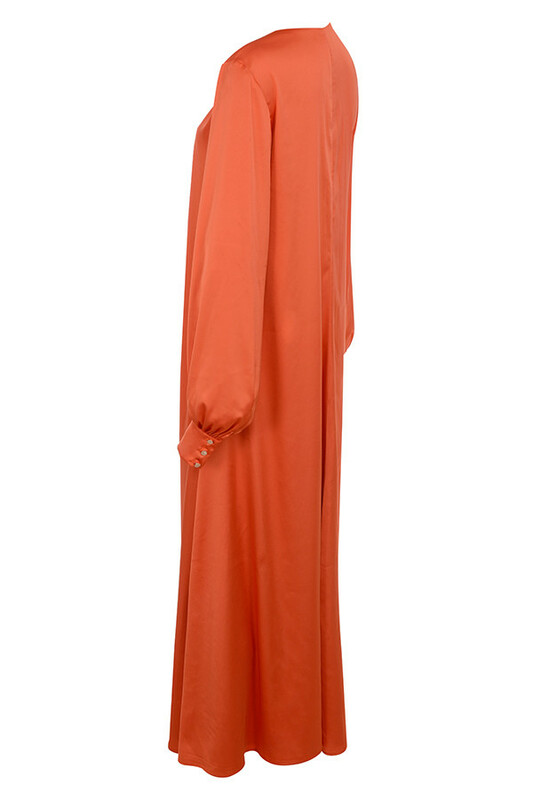 Wear yours poolside for a super glamorous look.